On October 15, 2017 Governor Jerry Brown signed the Cleaning Product Right to Know Act into law, placing significant new product labeling and ingredient disclosure requirements on the manufacture and sale of cleaning products in the State of California. Beginning January 1, 2020, manufacturers of many cleaning products and other ‘designated products’ sold in the State of California will be required to provide on their website, a list of ingredients in each of those products. In addition to this ingredient disclosure information, manufacturers must also provide a link to the safety data sheet (SDS) for each ‘designated product’ they sell, in order to allow employers to provide that information to workers who use and may be exposed to those products. By January 1, 2021, containers of ‘designated products’ that are sold within the state will also be required to include external labeling listing their ingredients, along with information that directs consumers and users to the supplemental product health and safety information located on the manufacturer’s website. Detailed definitions of ‘designated products’, as well as other chemicals which manufacturers must disclose can be found within the text of the Cleaning Product Right to Know Act. The goal of the new law is to provide California consumers and workers who use cleaning products with access to previously undisclosed ingredient information, in an effort to encourage more informed purchasing decisions and reduce public health impacts from exposure to potentially harmful chemicals. By requiring manufacturers to disclose the chemical ingredients of their products and provide the corresponding chemical hazard information, proponents of the new law believe it will help promote the sale and use of safer, more environmentally sustainable products. While originally viewed with skepticism by some in industry, the law has since received the support of the Consumer Specialty Products Association (CSPA) who represents some of the world’s largest cleaning product manufacturers. A number exemptions and exclusions to what is defined as a ‘designated product’ are also provided within the law. These include exemptions for ingredients that have been approved as confidential business information (CBI) and are listed in the federal EPA’s Toxic Substances Control Act (TSCA) Confidential Inventory, or for which the manufacturer claims protection under California’s Uniform Trade Secrets Act. However, the new law places a number of restrictions on what information may be withheld under a CBI claim, prescribing detailed labeling requirements designed to maximize ingredient transparency for consumers while protecting manufacturers’ trade secrets. 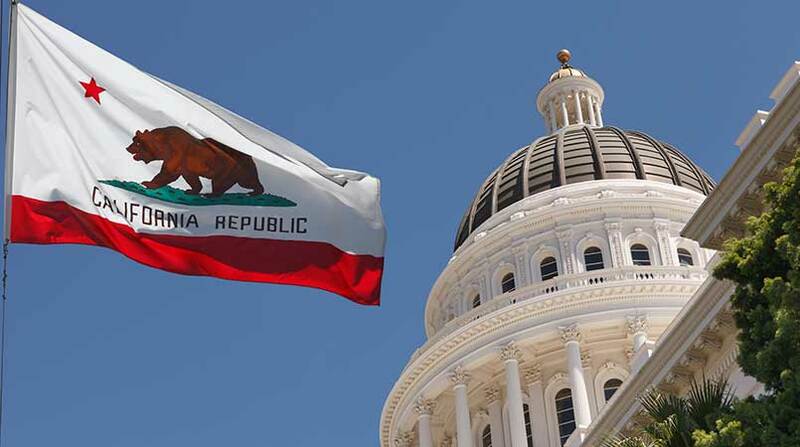 With more than 39 million residents and a GDP of $2.5 trillion (USD), the State of California is home to the world’s 6th largest economy, just behind that of the entire United Kingdom. Considering the sheer volume of commerce that flows through the Golden State, the Cleaning Product Right to Know Act will likely drive manufactures of cleaning products and other chemicals, not just in California, but throughout the United States and perhaps the world, to align their products with the new requirements if they wish to participate in the state’s vast consumer markets. Cleaning product manufacturers and distributors need to begin evaluating which of their products now fall under the provisions of California’s Cleaning Product Right to Know Act, and begin compiling the chemical safety and hazard information that they must furnish to consumers. This may include authoring SDSs for products that weren’t required to have them previously. For manufacturers who wish to withhold ingredient information under the law’s CBI exemptions, they will need to ensure that those chemicals have been authorized for such exemptions by both the EPA and the State of California ahead of the January 1, 2020 deadline. With more than 2,300 ingredients potentially subject to the new disclosure requirements, it can be a major challenge ensuring that you have all of the information you need. MSDSonline Regulatory Consulting Services from VelocityEHS give you access to a highly trained team of chemical safety experts and regulatory analysts who have the experience and resources to meet even your most complex compliance challenges. Whether it’s producing Ingredient Disclosure Documents, completing Confidential Business Information (CBI) or Trade Secret Registrations, or authoring comprehensive, accurate and reliable SDS for the products you manufacture, MSDSonline Regulatory Consulting Services are your all-in-one resource for complying with California’s Cleaning Product Right to Know Act. Request a quote today or give us a call at 1.888.362.2007 to learn more.